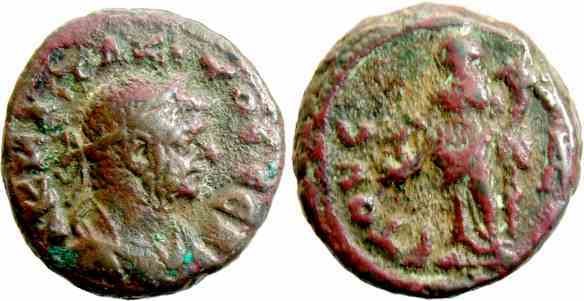 Billon tetradrachm, 20mm, 8.5gm, issued c. AD 276. Alexandria mint. Obv: A K KΛ TAKITOC CEB, Laureate draped bust right. Rev: ETOVC A, Diakaisosyne standing left holding cornucopiae and scales.